The King Katmai has an unbeatable combination of dazzling short-field performance, high useful load, fuel efficiency, fast cruising speeds, and unique protection against stalls/spins. Airplanes come in many sizes and shapes to fit many different missions. I have a friend who owns two Pitts aircraft. He’s not interested in going anywhere. He takes off from his home airpark, does some aerobatics nearby, turns around, and comes home. Why two planes? One is a single, the other a two-seater. Another friend just wants to get there fast. He’s got a Mooney but craves a jet. Most of my pilot friends here in Idaho, however, want a plane that can go slow. 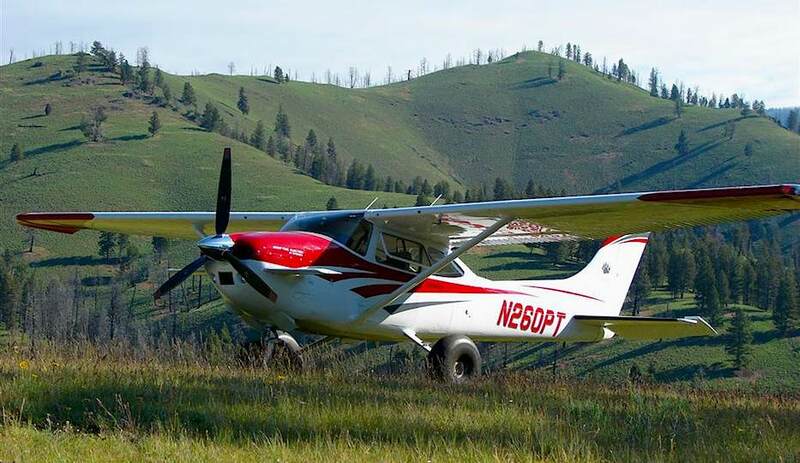 Not because they want to fly slow, but they want to come in slow and land in a short distance, at one of Idaho’s beautiful backcountry mountain airstrips. And then they need to be able to take off in a short distance and safely climb out of the mountains. Now, that’s my kind of flying! Enter the STOL (short takeoff and landing) aircraft that enables you to go where others (except helicopters) cannot. A STOL aircraft will have a lower-than-normal stall speed. Come in slower, you’ll stop quicker. Accelerate past that low stall speed sooner and your takeoff roll will be shorter. A variety of small taildraggers can take you in and out of short strips, but what if you want to carry a lot more than two people and a small backpack? What if you’d like to cruise at more than 90 mph, and don’t want to feel like a paper kite when the winds kick up? For an unbeatable combination of dazzling short-field performance, high useful load, fuel efficiency, fast cruising speeds, and unique protection against stalls/spins, the only place to go is Peterson Performance Plus and their amazing custom Kenai and Katmai aircraft, all fitted with a canard mounted directly behind the prop. The canard completely changes the aircraft’s slow-flight characteristics in ways that are light-years ahead of other aftermarket STOL kits and increases flight safety even during normal airport operations. As I discovered, the Peterson planes are truly a whole new breed. STOL aircraft have been around since the early years of flying, and have been particularly useful during wartime, as the WWII-era Fieseler Fi 156 Storch illustrates. With a fixed slat along the entire leading edge of the long wing, and the entire trailing edge, including the ailerons, being a hinged and slotted flap, the plane could take off and land where other planes couldn’t and still carry a substantial load. Its long main landing gear with shock absorbers for further utility gave rise to its nickname of “stork” in German. One of these was used to rescue deposed Italian dictator Benito Mussolini from a mountaintop surrounded by Italian troops. A German pilot flew in, landed in less than 100 feet, and took off again with Mussolini and a German commando in under 250 feet, even overloaded as it was. As American recreation expanded in the postwar 1950s, STOL engineer James Robertson produced the experimental Skyshark with a canard that included elevators and rudders in the propeller slipstream, but the experimental aircraft proved too costly for production. However, Robertson modified his ultra-low-speed system for the Wren Aircraft Company in Fort Worth, Texas, resulting in the commercially-produced Wren 460. In 1963, Wren described its new plane as the first HTOL (heliport take-off and landing) airplane, as it could take off in under 300 feet and land in under 200 feet—well within the standard 400-foot diameter for heliports. In addition to the canard, the Wren (a modified Cessna 182) sported leading-edge cuffs, full-span double-slotted flaps and a set of rotatable “teeth” or spoilers in front of the ailerons on top of each wing. Connected to the aileron control linkage, their purpose was to eliminate the adverse yaw that can result from large aileron deflection at low speeds. All these mods together created remarkable STOL capabilities, but it was the revolutionary canard that made the plane so safe, because it allowed the aircraft to operate, even at slow speeds, in a flat attitude and with a low angle of attack. To stay in the air, the plane did not need to be “hanging on the prop,” behind the power curve. Steep turns could be made immediately after takeoff without the danger of a stall. The later addition of a reversible pitch propeller allowed even steeper approaches and shorter landing runs. Unfortunately, mired in cost overruns, the company entered bankruptcy in the late 1960s. Enter the ambitious Todd Peterson, who began flying in 1968 at the tender age of 15, earned his pilot’s license at 16, his A&P certificate in 1970, and his IA three years later. In 1977 Todd and his wife and business partner Jo, also a pilot, acquired the Wren STC. By the early 1980s they were producing a new Wren, the 460P. But the Petersons felt the Wren was too complicated and lacked adequate top speed. After considerable customer input, they eliminated the wing modifications and installed a more powerful (260 hp) and fuel-injected Continental TCM IO-470-F engine, resulting in a plane that was faster, with higher useful load (at least 1,100 pounds) and better handling. The Petersons were able to certify this new 260SE in two years, a daunting task that says much about their understanding of aircraft mechanics as well as the organizational and quality-control abilities of their company, Peterson’s Performance Plus. Over the next 20 years, the company sold more than 500 SE aircraft in 14 countries. The Petersons kept building and flying, and were considering retirement when Todd decided to build himself his “dream” STOL aircraft. So in 2006 he added 18” to each wing on his own plane. This lowered its stall speed by four knots, resulting in a 20% reduction in takeoff and landing distance, to under 300 feet. 300-ft strips made him think of Alaska, and he named his new creation the Katmai. The cargo area and landing gear were also modified (more on that later). The final step was to add a 3-blade prop and 300-hp TCM IO-550 engine. Wouldn’t that throw too much weight onto the front of an aircraft based on a Cessna 182, which has a reputation for being nose-heavy? Actually, the extra blade and bigger engine added 26 pounds to the front of the aircraft, which was balanced by just a 4-pound weight in the tail cone. The result was the ultimate high-power, tough, and safe, STOL aircraft: the King Katmai. Peterson took it to the gnarliest, shortest strips in Idaho where the airplane so impressed other backcountry pilots that he received orders for 18 more. Professionally, Todd Peterson describes himself first and foremost as a mechanic and inveterate tinkerer, but I have never observed a more “professional” pilot in the cockpit. Sloppy simply does not compute with Peterson. That might have something to do with the nine years he spent as an airshow performer, along with Jo, upon whom he lavishes praise for her superior piloting skills throughout the entire day we fly together. His manner before and during our flight was calm and relaxed, but he didn’t miss a tiny thing—ever—in a day that included numerous takeoffs and landings at remote strips he was visiting for the first time. Every time I thought to look or check for anything inside or outside the cockpit during our flights, I would see Peterson’s eyes just leaving—already checked that. It’s as if he wears this plane as an extension of his fingertips, and it makes a passenger feel incredibly confident, even maneuvering in Idaho’s wild backcountry. Of course, the other half of that confidence comes from the Katmai itself. Having just spent the better part of a week in a Cessna 182 with a standard 230-hp engine, the feeling of power that emanated from the King Katmai’s 300-hp Continental IO-550 was truly remarkable; I’m sure I’ll never forget the sensation. At 5,441-ft elevation on a hot Idaho July mid-morning with over 55 gallons of fuel, the King Katmai leapt off the grass at the 1,689-ft-long B Bar C Ranch airstrip indicating 35 knots, leaving three-fourths of Runway 21 untouched below. My next impression, as the aircraft clawed its way out of Silver Creek Canyon at 1,600 fpm, was that of pure power—the smoothest locomotive—pushing us skyward. The plane feels like its levitating because, despite the impressive fpm climb, the airframe is relatively level, due to the canard. This results in excellent forward visibility, something I really appreciated, because, although I’m relatively tall, my torso is short and I often need to sit on folded towels in order to see over the cowling of most planes. The other huge benefit is that, with the much lower angle of attack, you can turn the King Katmai sharply right after takeoff, or during a steep climb inside a narrow canyon, and know that the plane will not stall or drop a wing. It was like I could literally feel the safety envelope expand in this plane, compared to a normal 182. Heading northwest over the Middle Fork of the Salmon River, we checked out the classic, ultra-challenging Idaho airstrips: Soldier Bar, Vines, Mile Hi, and Dewey Moore. We had to fly nearly a 360 over Dewey Moore before I could even make out the 700-ft strip, which seemed to merge with its surroundings. “Out here in Idaho, 90% of the risk is contained within 10% of the airstrips”, Peterson commented. “Of course, the Katmai and I have been in to all these strips a number of times for photography (check out the incredible videos at //www.katmai-kenai.com/adventures.php), but I can have just as much fun fishing or enjoying the scenery at a safer, yet still isolated, airstrip.” Indeed, that was today’s mission: to recon fun, new, isolated locations where Peterson would return in a few weeks with some of his “guys”—customers with Katmai or 260SE aircraft who hadn’t spent much time in the backcountry. Many of Peterson’s customers aren’t backcountry fanatics: they buy one of these custom-built aircraft for the added safety they provide combined with the good speed and load-carrying qualities. After checking out the Middle Fork strips, it was a quick few minutes up to 9,500 MSL to cruise unobstructed over the central Idaho mountains, plugging the next destination into the GPS. The hot weather was already producing exuberant thermals, but the Katmai, equipped with 5-point safety harnesses, took them in stride. Perhaps the extra-long wing and fixed gear made the aircraft feel even more stable than the Cessna 210 I’m most used to. At 65% power, the ultra-smooth IO-550 propelled us along at 120 KIAS (about 135 KTAS) showing 11.9 gph on the JPI FS 450 fuel flow meter—a JPI EDM-700 engine analyzer allows him to run lean of peak. Peterson commented that the King Katmai generally burns 11.9–12.9 gph at 8,000 feet and 135 kts true airspeed, and that on a trip home to Kansas from Idaho he flew at 17,500 MSL to catch a tail wind, maintaining a 172-knot ground speed while burning only 11.4 gph. For a relatively heavy airplane (3,100 pounds full gross), the Katmai is surprisingly responsive. That canard in front gives more elevator authority, so much that there’s actually a two-thirds reduction in pressure needed to move the elevator, allowing you to fly with your fingertips. The canard also keeps you ahead of power curve, so the aircraft relies on aerodynamics instead of horsepower to remain aloft. We demonstrated this by reducing power to 15 inches of manifold pressure, adding 20° of flaps, and slowing the Katmai to 50 knots. Look out to the wing, and you will see that it is flat, not the high angle of attack you would normally see while flying this slowly in other aircraft. Now, while loitering at 45 knots, we applied full rudder and full opposite aileron—and the plane simply would not stall or spin. How many stall/spin accident fatalities could have been prevented during approach or climbout with this system? Trimmed, hands-off steep turns at 45 knots are also easily accomplished. Peterson overflies each airstrip to check for wind direction/velocity, obstructions, and to memorize the terrain if the approach is partially blind, such as flying inside a deep, twisting canyon. He’ll drag the strip if space allows, examining the landing surface up close. At one of our landing sites, part of the runway appeared to be soggy, not a surprise considering the unusually wet spring Idaho had just experienced. An additional benefit of having a Katmai is that you can usually choose where to touch down, avoiding wet or rough spots, since the landing roll is so short. If flying a normal pattern, Peterson applies 20° flaps at midfield on downwind, where he’ll be indicating 55–60 kts and 15”–16” manifold pressure. Speed is determined by pitch, and sink rate by power—only small throttle movements are necessary because the airplane is not behind the power curve, so it responds instantly. Full flaps are 40°, and we’re at 45–48 kts on short final to avoid floating, with a touchdown at 35 kts—the Katmai stalls at 31 kts indicated. As on takeoff, the flat flying attitude when landing provides excellent forward visibility. The airspeed indicator is more accurate too (with other aircraft at slow speeds and high attack angles, airspeeds read erroneously low). I look out the side on short final and it’s shocking how slow we are going, still in full control and not mushing. On this hot mountain day I estimate our rollout at 300 feet max. My husband and I have flown a Cessna 210 with full Robertson STOL kit, including into short strips, but the feel of the Katmai is completely different—despite the slow speed, you can feel you’re nowhere near the edge of its flying envelope. Instead of hanging on the prop, it’s almost like being in a helicopter. The Katmai has numerous upgrades to the landing gear systems for coping with short and rough airstrips, including steel axles and heavy-duty brakes. The main gear has been supplied with stainless steel leading edges to prevent damage from brush or rocks, and the brake lines have been moved to the back to protect them from being severed—you’ll notice on a normal Cessna 182 that they’re right up front in harm’s way. The stouter nose gear has three shock absorbing bands and uses the old Landis fork, now built by Air Glass Engineering in Alaska, with an 8.5” x 6” tire. No taildragger needed! Rolling smoothly on those big Bushwheels out to the end with no wind, the plane turns on a dime (you can see that too on the videos): power up, nose off almost immediately, mains off in less than 300 feet at 35 knots and then a moment later as the airspeed hits 45, you crank it over hard, and here you are again, levitating skyward in tight circles right over the strip…at this point you find yourself plotting, because you’ve just got to get your hands on one of these. Peterson’s Performance Plus is located at the El Dorado Airport (EQA) just east of Wichita, Kansas, which the Petersons chose for its central location. Bring them a Cessna 182, or have them locate one for you. Last I heard, Peterson had two or three pristine, corrosion-free, ultra low-time, clean 182s in the hangar, ready for customers. Once you have a plane, you will have a wide array of modifications to choose from. 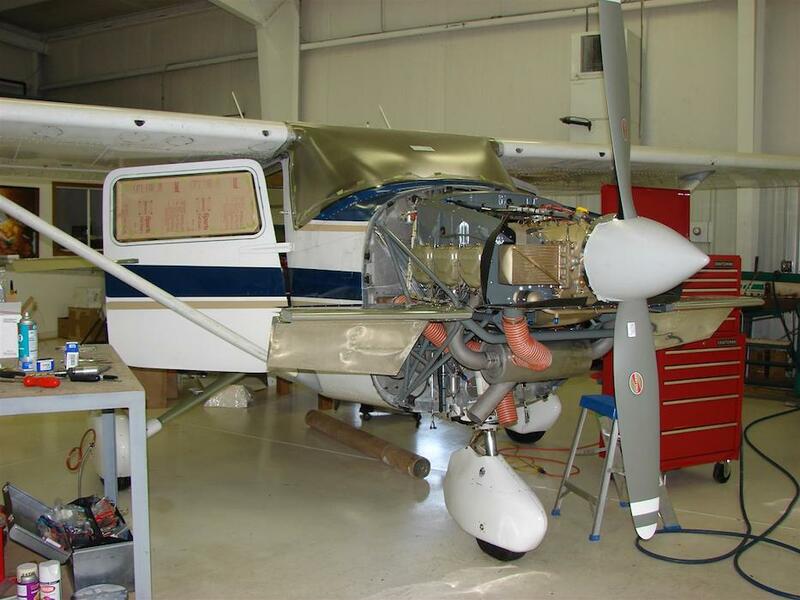 The TCM IO-470 and IO-550 engine upgrades are available for all Cessna 182 aircraft. 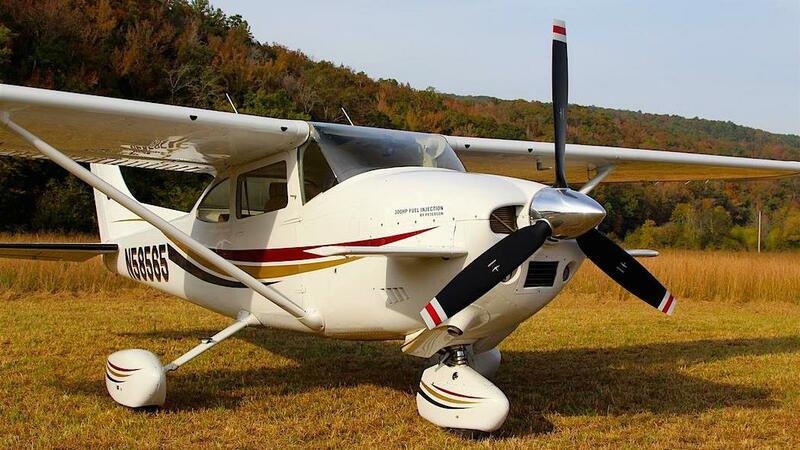 The canard, however, is certified for 1970–1980 Cessna 182 aircraft only. Todd normally builds the steel parts while Jo does the sheet metal work. Every airplane undergoes a detailed aerodynamic clean-up, especially high-drag areas such as the gear, cowling and forward fuselage and baffles, to improve speed and climb rate. Add the canard for $28,000 and you have a 230SE. Add the TCM IO-470F 260-hp engine (with full factory warranty), and you have a 260SE. Some customers choose to begin with the canard and wait to switch out the engine until their current engine reaches TBO; it all depends on your needs and budget. The aircraft becomes a Katmai with the addition of 18” to each wing, using the parts and an STC from Air Research Technologies of Montreal, Canada, and another STC to extend the baggage area. Go all-out for a McCauley 82” or 86” 3-blade prop and 300-hp TCM IO-550 powerhouse, and you are the proud owner of a King Katmai, the ultimate do-it-all bush plane. In addition, you can completely redesign the interior, put in custom avionics, and paint. The King Katmai offers a variety of interior configurations and is easily interchangeable from four seats to two. The cargo area is eight feet long, with a flat floor so you can load oversized freight, and about a dozen built-in tiedown rings to secure it all. There’s plenty of space and useful load for complete camping gear, coolers, backpacks, and more. Peterson recommends the onboard standby generator, which you can use to preheat the engine on cold mornings, inflate a spare tire, recharge a dead battery, or even run power tools. Like to take your dog along? You can get a custom harness to protect your pet in turbulence and restrict cabin access while still allowing him move around. The Katmai also offers another safety feature: an optional ballistic airframe parachute by BRS Aerospace. For a complete turn-key package including aircraft, mods, avionics, interior, and paint, Peterson offers a custom-built King Katmai for around $255,000, though some customers choose more expensive options. When a new bird is finished and ready for pick-up, Peterson always conducts a thorough check-out with the pilot, flying with him/her as long as necessary, usually 1–5 days. It’s rare to find a Peterson airplane, particularly a full-out King Katmai, on the used market. When you do, they usually sell for more than $300,000. Yet their owners can’t say enough about the combination of performance and safety that is the hallmark of these fascinating airplanes. The Petersons take great interest in all their customers as individuals; you’ll often find updates on aircraft-in-progress on their website. The forums, //www.260sepilots.org/, are also a good place to read about what kinds of mods other customers have chosen and why, and to ask questions. One question frequently asked is: “Can I bring in a new-model Cessna 182 (or a Cessna 185 or 206) and have it converted to a King Katmai?” The answer to that is no; the STCs do not cover these aircraft. Peterson is now working on a seaplane version, available with all the engines and options described above. He’s had a ton of requests for this mod from float plane operators, who say the flat attitude provided by the canard will do wonders for float planes. In late 2014, Peterson introduced an all-new bird to his flock: the Kenai. 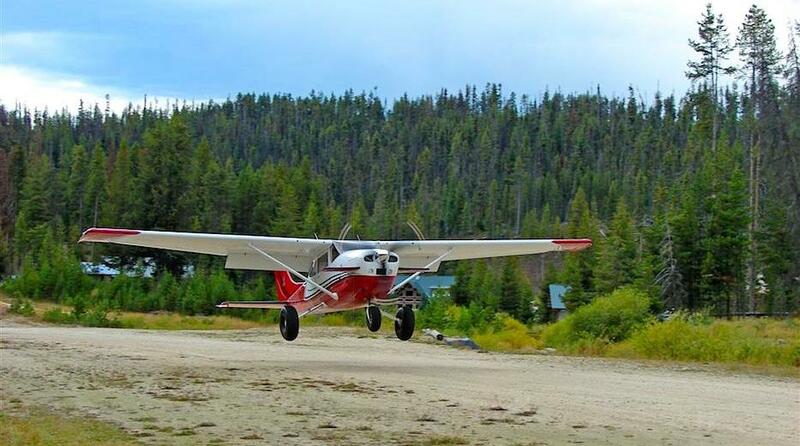 With a greater emphasis on higher cross country speed and performance, the Kenai is designed for owners willing to trade off a smidgen of the backcountry utility of the King Katmai for higher cruise airspeed, a higher useful load and a higher Vne. The Kenai features the same IO-550 engine that powers the King Katmai, along with the nose mounted canard, aerodynamic cleanup of the airframe, but with the stock Cessna 182 wing. It generally cruises at 150–155 KTAS, at 12–15 gph lean of peak, gets you an 1,800 fpm rate of climb, and 35-kt stall speed. Peterson isn’t planning any more new FAA-approval projects. The FAA’s testing and approval procedures are lengthy and rigorous, yet, perfectionist that he is, Peterson has tested his modifications, both in the shop and in the field, to standards even above those required; an exhausting process. After developing the Wren 460P, the SE230/260, the Katmai/King Katmai, float mods, and now the Kenai, Peterson will continue producing the SE, Katmai, and Kenai aircraft in between taking some time off for traveling with Jo and enjoying his own King Katmai, which he says he is “really, really happy with”. Isn’t that what we all want? A plane we’ll be really, really happy with? For some, a “dream” plane is one that can top 300 knots—but that plane will be limited as to where it can land. If you want a plane that can quickly and economically take you and your gear into rugged wilderness, land there safely, take off in just a few hundred feet, yet feel substantial enough to handle real weather and easily fit into the pattern with fast traffic, the Peterson stable of aircraft will make all your airplane dreams come true.